- Hand made with 100% Northwest Eco wool. - Lays flat on top of mattress. Prevents moisture from seeping through. - Machine washable with special instructions provided. 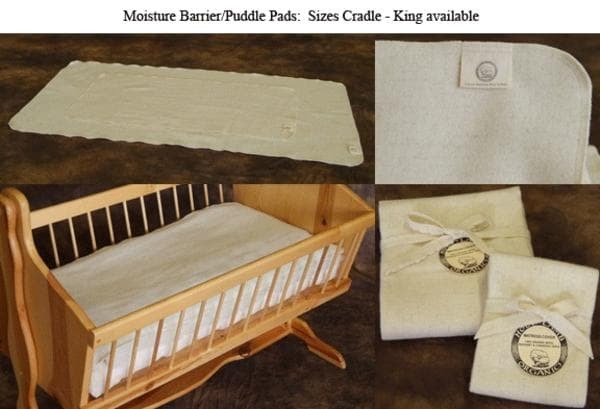 - Hand made by Holy Lamb Organics in the U.S.A.